Applications running on edge-devices, gateways, enterprise servers, cloud services and mobiles are all valuable data sources and sinks in an IoT world. But new software platforms are needed to connect and leverage all these sub-systems to maximize the business value-add of Enterprise IoT. 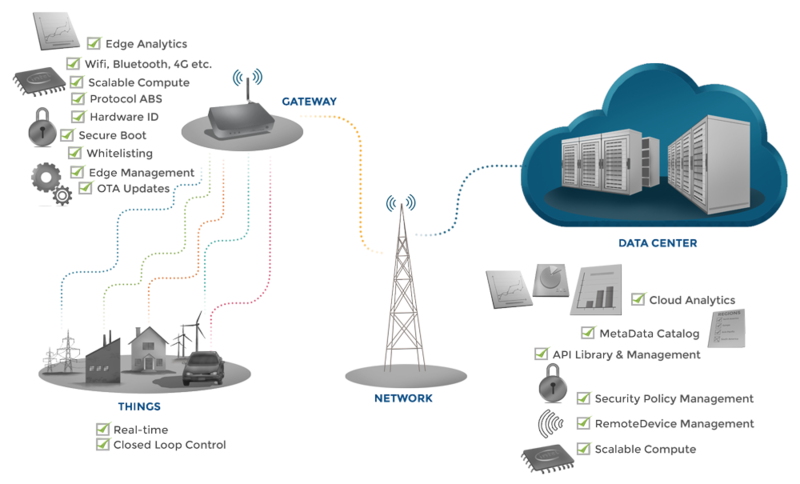 For several years, M2M platforms have provided reasonable solutions for connecting machines to cloud services (actually it should be M2C, as M2M platforms generally do not support peer-to-peer device communications). But these platforms have struggled to create large markets or provide strategic enterprise-wide solutions. They have mostly been restricted to providing vertical/tactical applications — in effect self-contained ‘stovepipe’ systems. But to fully exploit the potential of the IoT, data must be free to flow to wherever in the system it can add value, e.g. between ‘edge’ devices for control purposes, to gateways for data aggregation/ingestion and local analytics, to cloud-based applications for Big Data analytics, to enterprise systems for OT/IT alignment and supply-chain integration, to mobiles for on-demand data delivery to employees (see Figures 1 and 2). The promise of Enterprise IoT is the new value created through ubiquitous data availability (and its processing by applications into actionable insights), but this means a new generation of platforms is required to provide the data-connectivity to support a new generation of distributed IoT applications. One of the biggest differences between traditional M2M and Enterprise IoT systems is that ‘horizontal’ as well as ‘vertical’ data-flow must be supported. Vertical silos of data do not provide the potential to add value beyond a specific sub-system, so a fundamental feature of next-generation IoT platforms will be a data-connectivity layer that supports system-wide data-delivery as required: the right data, in the right place, at the right time, system-wide. There are many potential ways (control, analytics, dashboards, event processing, mobile apps, etc.) to exploit all this newly accessible IoT data, but it needs to be delivered to the appropriate application in a timely manner wherever in the system that application may reside (on an edge device, gateway, enterprise server, tablet, or in the cloud). Only then can the data be converted into new ‘actionable insights’ and thus new business value. Figure 2. End-to-end IoT System Functionality: Providing intelligent data-connectivity for end-to-end systems embracing Things, gateways, enterprise servers, cloud services, mobiles, etc. to support Enterprise IoT solutions. To provide this underlying capability, a data-connectivity layer needs to be deployed across all nodes the in the system — at least all the nodes that are required to share data (publish and/or subscribe). An enterprise version of Twitter for Things, in effect. In simple terms, the diagrams in Figures 3 and 4 show, respectively, how this layer can be deployed both in the cloud (to support cloud services) and on devices (Things, servers, PCs, mobiles, etc.). They also show potential sources of the applications the platform connects (end-user developers, ISVs, SIs, OEMs). Figure 3. 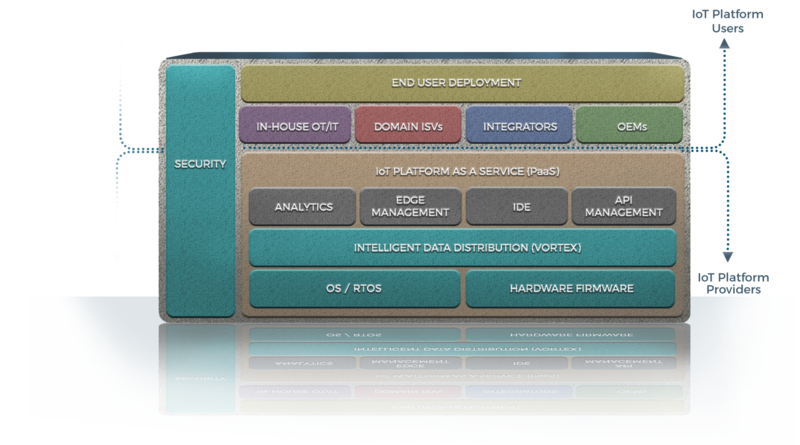 IoT Cloud Services Environment: PrismTech’s Vortex provides the intelligent data-connectivity between the functional components within a cloud PaaS offering for Enterprise IoT solutions. Figure 4. 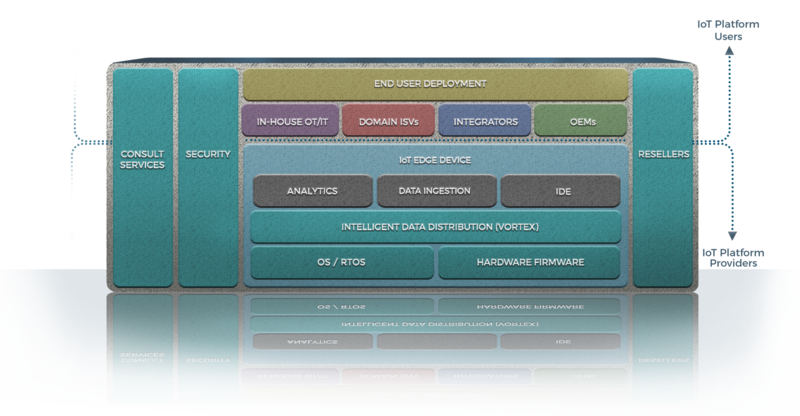 IoT Edge-Device Environment: Similar to the PaaS offering, PrismTech’s Vortex provides the intelligent data-connectivity between functional components in an IoT device and other devices, sub systems and cloud services for Enterprise IoT solutions. 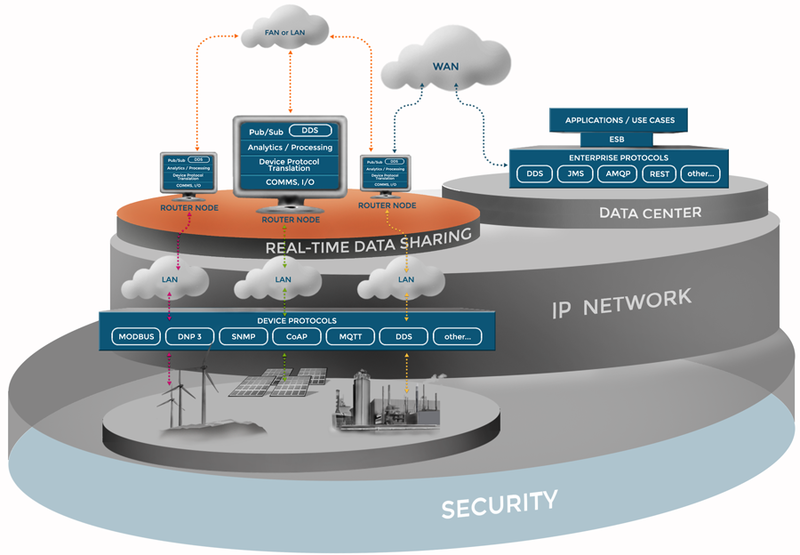 [Note that the data-connectivity layer supports not only inter-node data-sharing, but also data-sharing between the application components of the IoT platform itself, i.e. inter-operability between platform services (such as IDEs, edge-device management, API management, analytics engines, etc.) as well as between Things].